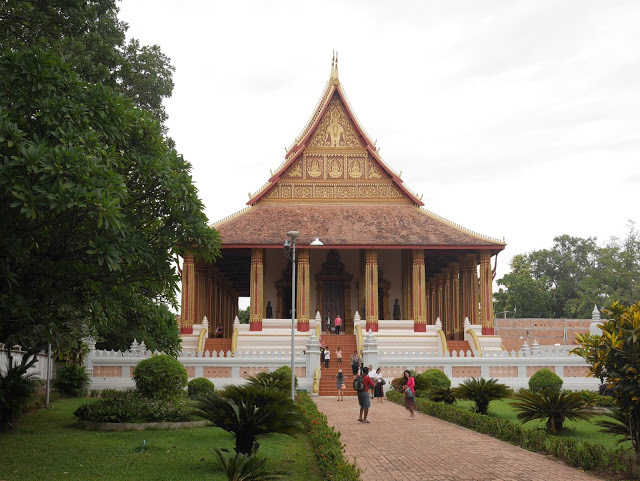 What is the "Emerald Buddha" and why does Laos claim it? 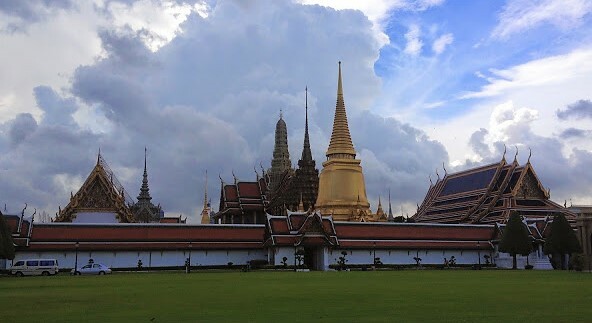 The Emerald Buddha, or Phra Kaew, is the royal palladium of Thailand. The Emerald Buddha, which resides at Wat Phra Kaew at Bangkok's Grand Palace complex, may be most closely associated with Thailand, but it has a long and winding history that weaves through the history of Laos as well. It is difficult to know the true history of the Emerald Buddha, as its history and origins are obscured by legend. According to the stories, the 66 cm tall Emerald Buddha (which is actually made not from emerald, but from jade and gold) was cast by the Hindu gods Vishnu and Indra in the year 43 BC on the 500th anniversary of the Buddha's enlightenment. The Emerald Buddha originated in India, before traveling to Ceylon (present-day Sri Lanka). 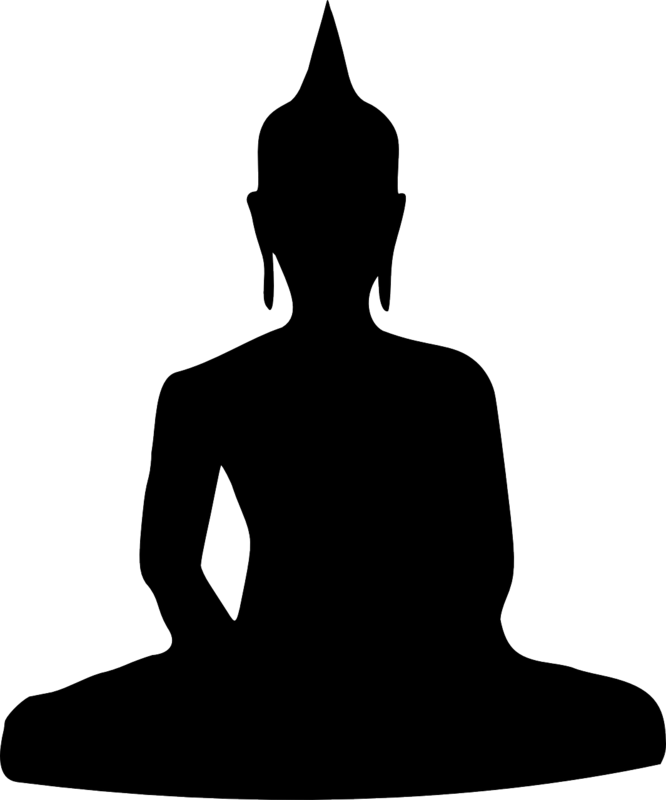 Eventually, it was requested by the King of Burma to help spread Buddhism in his country, though the Emerald Buddha was lost in a storm, eventually resurfacing in Cambodia. It was kept for a time at Angkor Wat, before eventually arriving in Siam, in the Ayutthaya Kingdom (present-day Thailand). 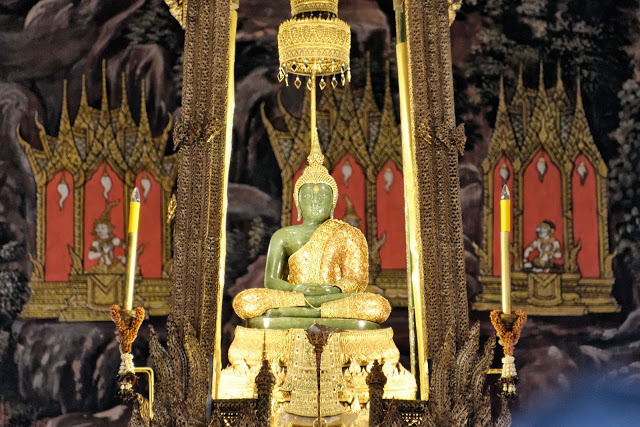 Over time, the Emerald Buddha was taken successively to Chiang Rai, Lampang, and Chiang Mai (in Thailand). Over the centuries, the Emerald Buddha became very much a symbol of the Thai (or Siamese) kingdoms. Eventually, the son of a princess of the Kingdom of Chiang Mai inherited the vacant throne of his cousin, the King of Luang Prabang. This is when Laos became in possession of the Emerald Buddha. During this time, the new king of Luang Prabang carried the Emerald Buddha with him to his new capital. From the 16th to 18th centuries, the Emerald Buddha was moved to Vientiane, and displayed at the Haw Phra Kaew, the House of the Emerald Buddha, which still stands in the Lao capital. Haw Phra Kaew is empty today, but serves instead as a museum of Laotian Buddhist artifacts. 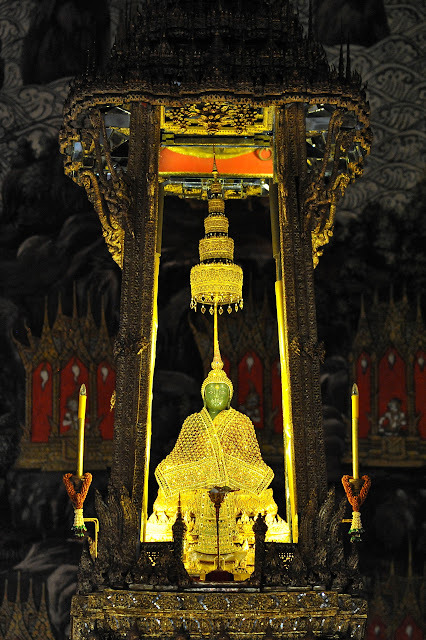 In the 18th century, the Emerald Buddha was retaken by Siam and carried to Bangkok, where it remains to this day. Where is the Emerald Buddha now? Today, the Emerald Buddha is enshrined at the magnificent Wat Phra Kaew, the Temple of the Emerald Buddha, which is built on the grounds of the Grand Palace in Bangkok, Thailand. The Emerald Buddha my be approached only by the King of Thailand in a special ceremony held thrice yearly at the turning of the season. During this important and profound ritual, the golden regalia of the Emerald Buddha is changed to reflect the season. Today, the Emerald Buddha is considered the royal palladium of Thailand, conferring religious legitimacy upon the monarchy, and is believed to protect the kingdom from evil and invasion. So who really "owns" the Emerald Buddha? Well, that's a matter for debate!